Shay Rego, Kindergarten Teacher — Yoga Ed. After earning a Bachelor’s Degree in Elementary Education and a Master’s Degree in Educational Foundations with Leadership, Shay entered the classroom, teaching Kindergarten at Kamehameha Elementary School in Honolulu, Hawaii. During her four years teaching at Kamehameha, Shay consistently integrated creative movement into the classroom, using brain breaks to stimulate her students’ young minds and bodies. After having a parent come into her class to teach yoga, Shay immediately observed positive outcomes in her students’ attitudes and behavior. From that first experience, yoga became a mainstay in her classroom, something that both Shay and her students looked forward to whenever the time permitted. After the birth of her second daughter in 2014, Shay took leave from her educational career to take on motherhood full-time. But her interest in kids yoga only gained more traction. Shay’s oldest daughter, Olive, began demonstrating interest in yoga at home, inspiring Shay to delve deeper into her own practice. According to Shay, “Olive’s focus and passion is what drove me to learn and practice more yoga.” Shay went onto complete her 200 RYT training with Laura Mary Flynn at Power Yoga Hawaii in 2015. Yoga is still something that Shay and her daughter Olive love doing together, and like any mom, Shay wanted to know how to ensure Olive’s safety at her age and developmental stage. She decided to attend the Hawaii Summer Immersion with Yoga Ed. because she wanted to better accommodate her daughter’s needs, while also gaining a better awareness and understanding of how to effectively implement yoga at home and in the classroom. Even with her experience and knowledge in education, Shay was eager to learn more, and sought the confidence to teach her daughter and students about yoga. 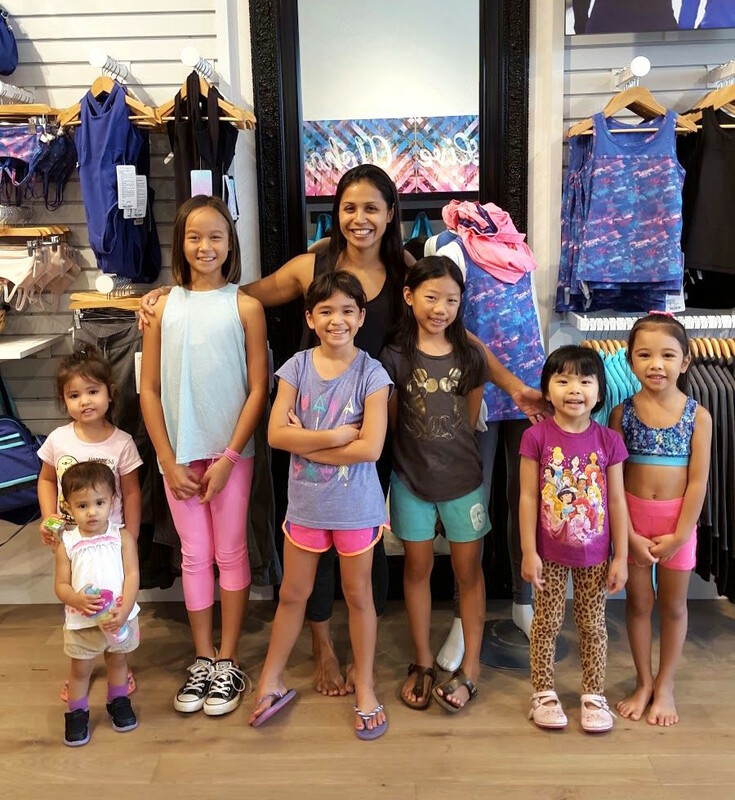 Now with the Summer Immersion under her belt, Shay has not only the confidence, but also the efficacy, to maximize the benefits of yoga for all of the children in her life, from her own daughters to kids in the greater community. After graduating from the Summer Immersion, Shay is able to practice yoga with her girls at home with confidence and peace of mind. Trying to incorporate yoga into their day-to-day, whether it be at home or outside at the park, is not only fun, but a great way for them to spend quality time as a whole family. Now 3 years old, Olive’s own self-efficacy has come to fruition as she enthusiastically takes on the role of class helper, accompanying Shay when she teaches kids yoga classes in the community. Even though Shay isn’t ready to reenter the classroom full-time, the Summer Immersion has opened opportunities for her to be involved in the community in new ways: teaching yoga at her daughter’s preschool, and leading community yoga and creative movement classes at Ivivva. Shay has found that teaching yoga to preschoolers has done more than just support positive attitudes and behavior. Through yoga, Shay has helped them develop their health and body awareness, gain confidence, and make connections with themselves and others. And because Yoga Ed.’s curriculum addresses physical and mental development as well as social emotional learning, Shay feels equipped to support different learners and learning styles, to enhance balance, coordination and focus among all her students, and to empower them to apply the skills they learn in their own life. Even teachers have participated and shown some interest in doing yoga with the children, which gives Shay encouragement for supporting the school culture at a larger level.